Pete Moore was born in Wetumpka, Alabama, on October 18, 1932, one of nine children. Of the five boys and four girls in the family, Pete was the only one afflicted with osteogenesis imperfecta. From an early age, Pete proved to be remarkably intelligent, devising his own means of locomotion by having his father attach wheels to a board so he could pull himself around by his hands. Despite his natural abilities, however, Pete was barred from attending school due to his disability. Until the age of eleven he was educated at home by his parents. When he finally was allowed to go to school, he obtained a d i p l o m a in just nine years, graduating at the age of twenty with an A average. Soon after Pete finished school, his mother died, and he found himself needing to make a living. None of the j o b s he tried, however, were adequate. 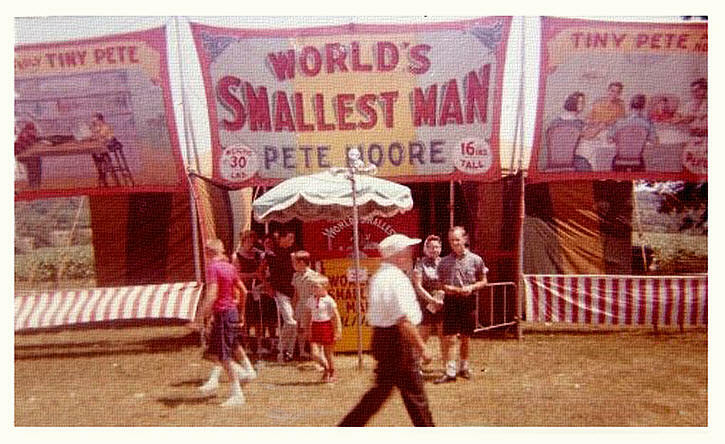 Then, around 1960, Pete visited a sideshow. There, he saw a fellow billed as The World's Smallest Man - who was obviously not. 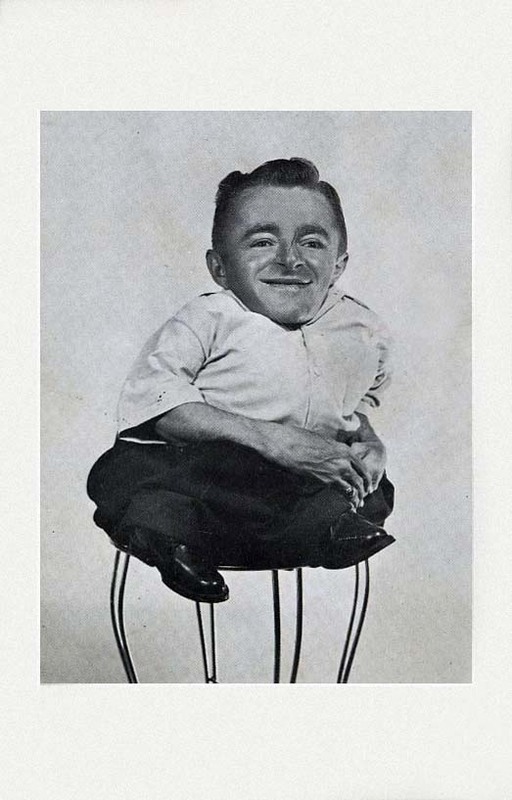 Eighteen-inch-tall, thirty-two-pound Pete was hired on the spot by the sideshow manager. He remained with that show for two years, then moved on to run his own tent. In 1967, while appearing with a fair in Hamilton, Ohio, Pete met and fell in love with a member of the tip, Adena Synder. Pete and Adena were married and Pete became the World's Smallest Dad - first to John, who was normal, and then to Carol, who had osteogenesis imperfecta like her father. Adena and the children toured with Pete, whose sideshow earnings enabled them to live comfortably and eventually to purchase an estate.